Tonight begins the Jewish New Year, Rosh Hashanah. Annie, Bunnybell and I are celebrating with traditional foods to bring in the New Year. Challah bread, apples, honey and a pomegranate!. I know I should have first gone for the apples and honey symbolizing a sweet year ahead, but I love carbs, and I just couldn't resist that giant Challah! The next thing I know, Annie and Bunnybell are joining me! 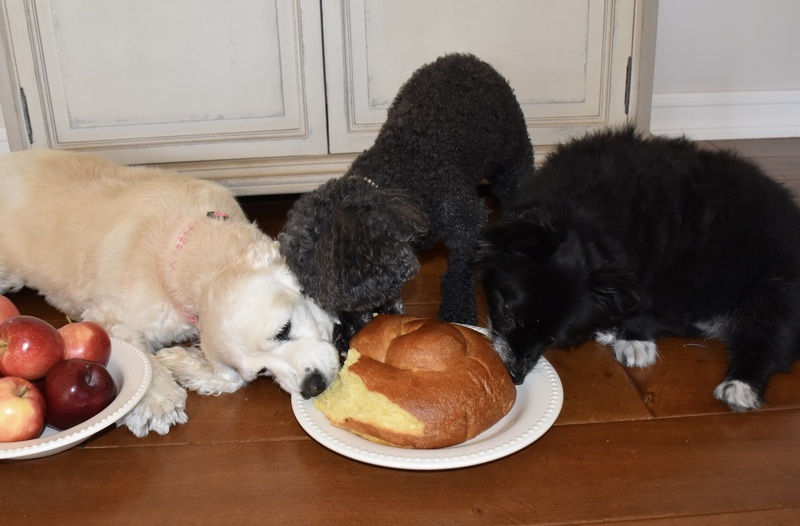 We think there is more than enough of that Challah for all of you, Rosie:) Those apples look very good. Oh yes! Lots of Challah. Even enough for Mommy & Daddy! Apples and honey for a sweet new year! RosyPoodleKisses! We ate about half, then the humans had the rest! I stepped in the honey by mistake! So now I have sweet feet! RosyPoodleKisses! 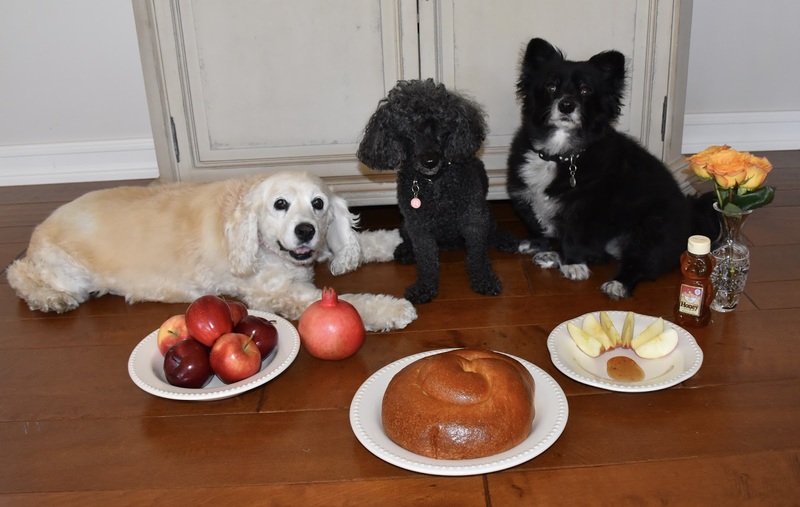 L'Shanah Tovah to you too! Yes! Mommy's Jewiish so we celebrate Jewish holidays. Daddy is Catholic so we get to celebrate those holidays too! RosyPoodleKisses!